A Calgary naturalist who’s been guiding tours and hikes for decades says there’s prime wildflower viewing available right now in Bow Valley Provincial Park, with some rare finds only the locals know about on the Many Springs Trail. 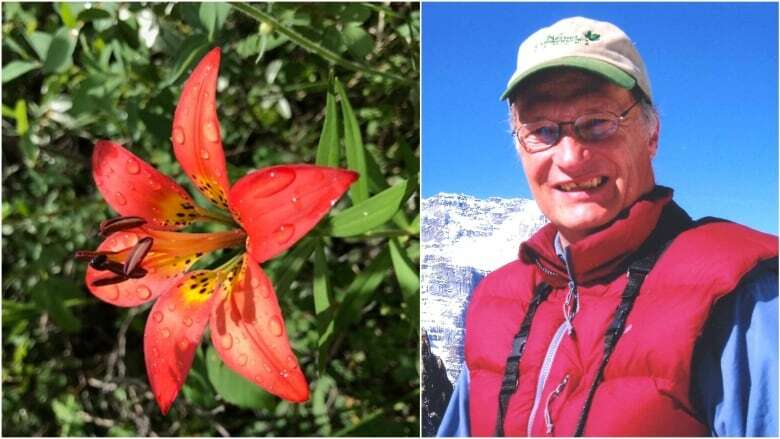 A Calgary naturalist who's been guiding tours and hikes for decades says there's prime wildflower viewing available right now in Bow Valley Provincial Park, with some rare finds only the locals know about on the Many Springs Trail. "It's a great little park that has a lot of habitat: spruce woods, fields, aspen woods. So it's a really good spot to visit, particularly if you are looking for wildflowers," John McFaul told The Homestretch on Tuesday. "It's a famous trail locally for all the flower lovers. It's got a nice mix of flowers and there are certain species out here that people love to hunt for. Orchids are a favourite of flower lovers and there are six or so species you might find here." McFaul says you don't have to venture very far to find the beauty. "Right off the parking lot, we have the iconic flower for the Many Springs Trail, the yellow lady's slippers — a nice, bulbous lip that the insects can fall into. Right beside them we have another orchid, called the bracted bog orchid. It's just a green colour, nothing really fancy to it. They are pollinated in some cases by mosquitoes. The mosquitoes will poke their head into the lip of the orchid and the orchid dabs the insect's head with little packets of pollen and then they fly off to other flowers," McFaul said. "Right off the parking lot, we have two species of orchids." And now is the time of year another beauty makes an appearance. "Across the way, we have a nice contrasting flower. This is your western wood lily. Most people refer to them as tiger lilies, but their official name is western wood lilies. This is prime time for them, right around Canada Day. This park is loaded with them," he said. "You have five doves circling around this little watering hole," McFaul said, describing the blue columbine. "That's why they call them columbines, because colombo is a name for doves. These are actually nectar spurs. If the bee comes down, it would hang off of this and stick their tongue up the spur to get at the nectar. The scientific name of this plant is aquilegia [coerulea], the eagle, because the spurs reminded somebody of the talons on an eagle." "This plant is very similar to the yellow lady slippers, but this has got a nice little white pouch. The lower lip forms a white pouch, which resembles a sparrow's egg, so this is called a sparrow's egg orchid," McFaul said. McFaul says another of his favourites has a horrible name, but it's worth getting down on all fours to appreciate the round leaf orchid. "If you look at the flower really close, you have a little bit of a hood. Then you have the wings on either side, then the arms and the dress hanging down. So I think the name should be angel wing orchid because round leaf orchid is so boring," he said. "These are one of my favourite little flowers because you have to get close to appreciate them." With files from CBC's Jenny Howe and The Homestretch.